Wittenberg. They have also devoted their time, knowledge, energy and resources to preserving the traditions that define the institution they hold dear. Wittenberg Magazine takes a look back at Benjamin Prince and the society that has made a significant difference in the university’s life. From the beginning, great things were probably expected of Benjamin Franklin Prince, a farmer’s son whose grandparents were named Adam and Eve — and he didn’t disappoint. in Springfield, just a few miles from his family’s farm, “Little Bennie,” as he was affectionately called as a child, would eventually serve Wittenberg with a vitality and longevity unmatched by anyone at the time in a U.S. educational institution. and he knew and worked with every president of the college except the first one, Ezra Keller. Heralded by the Class of 1914 as a “diligent and untiring scholar, a thorough and painstaking teacher; a man beloved by all who knew him,” Prince made the university’s concerns his own concerns, and in so doing, he helped to ensure that Wittenberg entered the future with confidence and strength. The boy nicknamed Bennie was indeed Wittenberg’s “Grand Old Man” when he died in 1933 at the age of 93, but his legacy continues to inspire hundreds each year who now follow in his name as members of the Benjamin Prince Society (BPS). financial support, and positioning the university for continued success. “ The Benjamin Prince Society was founded on the notion that alumni ought not to take their college or university for granted because people sacrificed for them — people they never knew,” explained Jake Baas, former executive director of advancement. Baas played a prominent role in the creation of BPS when he worked at Wittenberg from 1976 to 1984. As executive director, Baas thought that any leadership-level giving society should reflect Wittenberg’s heritage. “ Bennie Prince had practically every job available at Wittenberg,” Baas said. “He resonated loyalty and service. He lived on campus in the house now named after him, and many alumni remembered giving him their tuition. His dedication and commitment reflected the Wittenberg tradition, and we thought this society should have his name,” he explained. students also benefited from their generosity just as many of the BPS donors themselves benefited from those they never knew did during their own college days. of the larger Springfield community. absolutely vital to Springfield.” Fellow BPS charter member Mary Lu Noonan ’35, whose late father, Harry S. Kissell 1895 knew Prince, agreed. A retired Springfield horsebreeder, Noonan, like Browne, has consistently supported the university for more than 40 years. In fact, her BPS-level gifts brought the campus Kissell Auditorium in memory of her father. “ I feel so close to the university, and I think so much of what the people there are doing, which is why I have a long history of involvement,” she said. It’s that kind of involvement that Charles Weller ’70, another BPS charter member and member of the board of directors, said makes all the difference in Wittenberg’s success. Wittenberg, the more excited they get,” he said. Weller, himself, has regularly supported Wittenberg at the BPS-level. He believes in the university’s mission, and he sees the society as a necessary component of that mission. “ Giving at the BPS level is absolutely critical,” he said, noting that BPS-level gifts provide much needed financial aid for students, faculty salaries, academic facilities such as Hollenbeck Hall and the Barbara Deer Kuss Science Center, all of which help to further teaching excellence and student success. opportunity to prepare for their future roles in society,” they said. Together, the VanKleunens hope to make the society an even larger reflection of the values for which Benjamin Prince stood. A lifelong learner, Prince taught seven subjects during his professor days at Wittenberg, including history, Greek, botany, physiology and English literature. As a result, teaching has become a focal point of BPS Day, an annual event for BPS members and other volunteer leaders that the VanKleunens founded three years ago. Prince regularly did more than seven decades ago. “ This day helps to engage our alumni and allows them to pass their light onto others,” Bob VanKleunen said. The VanKleunens are also in the process of forming a leadership committee to assist the university in future planning. Here is the obituary from the Springfield Daily News. the history of Clark County are widely read and contain much valuable information. He was formerly president of the Clark County Historical Society and had recently completed a fine history of Wittenberg College. The death of Dr. Prince is mourned by rich and poor, the high and low, for he was a man of lovable character, who always spoke a kindly word for his fellow-men. His was the service always of joy, of ministration and of wise counsel. He never shirked in duty and devoted his life assiduously and earnestly that others might be benefited. He was for many years a member of the board of directors of the college. Dr. Prince was a former president of the Men's Literary Club. granted a Master of Arts degree in 1868, and in 1891 Wittenberg honored him as a Doctor of Philosophy. in 1865 but he did not accept it until the fall of 1866. Since that time he taught such studies as Greek, Latin, mathematics, political science, economics, sociology and history. He taught Greek for 30 years. always a busy man and he had not only the faculty of teaching well, but he possessed unusual business ability. For many years he served as president of the Springfield Building and Loan Association. Dr. Prince was injured in 1928, when he was struck by an automobile skidding on icy streets. When he first came to college Dr. Prince said he brought six dozen candles which his mother had made for him to study by. Coal oil lamps had just been introduced among the students and the candles were not used. Springfield, according to Dr. Prince, was then a city of about 7,000. There were very few houses north of Buck Creek. There was a rickety wooden bridge across that stream at N. Market St. (now N.
for the latest news about the war and they began to go over to the city about every day." 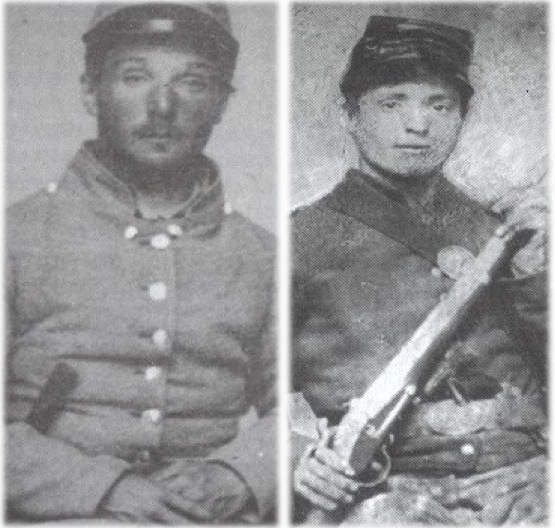 A large number of Wittenberg students left school to go to war in 1860 and 1861. In the meantime the students week. Dr. Sprecher, then president of Wittenberg, and a number of the professors drilled with the students. largely owing to his care and fidelity in the work as chairman of the prudential committee that Wittenberg's funds have been so well administered. Dr. Prince served long terms as a member of the Springfield board of education and the city council, and had held other civic posts. "Work" is the best prescription for a long life, according to Dr. Prince. As campus custodian he made the rounds of all the college buildings regularly, and as one student expressed it, "it is doubtful if anywhere in the country there could have been found a teacher who was so well and favorably known among such a large number of his former students as was Dr. Prince." almost be said that the existence of the College is due. From 1866 to 1928, a period of 62 years, Dr. Prince was a member of the teaching faculty, during most of which time he served as head of the Department of History. Dr. Prince's intimate knowledge of the activities of the College from a very early date fitted him peculiarly for the task of writing a history of the institution, which he finished after his retirement from active teaching. administrator he rendered the College a service the value of which cannot be overestimated. "His name deserves a place along with the presidents of the institution. His passing will be mourned by thousands of Wittenberg alumni and former students who loved him as a man, and esteemed him for his notable service to the institution to which his life was given.